It’s no surprise that our patients love working with our staff here at Rasmussen Dental. To showcase how great our team is, we want to share our employees' stories who have a real passion for what they do. 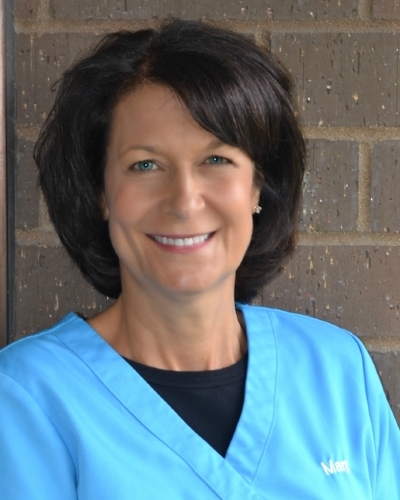 We recently sat down with one of our dental hygienists, Mary Walters, to learn a little more about her and her role at Rasmussen Dental. What is your ideal way to spend a weekend? Up north at the cabin with family. Tell us something that might surprise us about you. I have 3 grandchildren, my father is a retired dentist and I have a sister that is also a Dental Hygienist. What is your favorite part about working at Rasmussen Dental? Building relationships with patients. What can we find you eating for lunch today? Salad with lots of goodies. What’s your spirit animal and why? Dr. Rasmussen says Labrador Retriever - because she is loyal. What book are you currently reading/TV show you’re currently watching? I like to watch NCIS and shows on Channel 2 and HGTV. What’s the most interesting or unique job you’ve had prior to working at Rasmussen Dental? I was a hairdresser before going to school for dental hygiene.